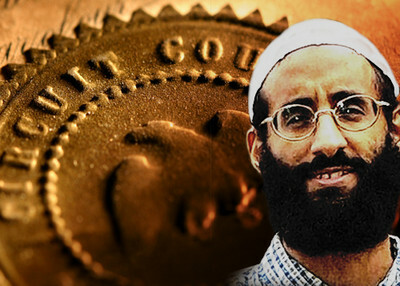 On the same day that radical cleric and al-Qaida in the Arabian Peninsula (AQAP) leader Anwar al-Awlaki took to the Internet to call for new acts of terrorism, the American Civil Liberties Union (ACLU) stepped into federal court in his defense. The nearly four hour oral argument in federal court in Washington Monday is the latest step in a challenge the Obama Administration's alleged "kill list," targeting terrorist leaders for lethal action. Awlaki is believed to be on the list. On Aug. 30, the ACLU and the Center for Constitutional Rights (CCR) filed suit in federal court on behalf of Nasser al-Awlaki, Anwar's father. Awlaki's father has claimed that his son has been added to CIA and Pentagon targeting lists using secret criteria and evidence for determining whether a U.S. citizen can be targeted for lethal action. Based on this, the lawsuit is asking a federal judge to prevent the government from intentionally killing Anwar Awlaki without showing that he presents a concrete, specific, and imminent threat to life or physical safety. It also asks that the government show that there are no means other than lethal force that could reasonably be employed to neutralize the threat. In its response, the government argued that Awlaki's father lacks legal standing to bring the suit. Even if he was an appropriate plaintiff, the government continues, the court lacked the authority to rule on the case because the "requested injunction would necessarily and improperly inject the courts into decisions of the President and his advisors about how to protect the American people from the threat of armed attacks." Restricting the arguments to these procedural issues, U.S. District Judge John D. Bates did not entertain the merits of the "targeted killing" program. Instead, he focused on whether Anwar al-Awlaki was willing and able to bring the suit himself, and whether the judiciary should insert itself into the issue, facts that will likely weigh heavily in the court's decision. It is clear that both the government and the ACLU believe this to be an important case. Both sides brought out their "big guns," with Jameel Jaffer, the Director of the ACLU's National Security Project arguing on behalf of Awlaki's father, and Doug Letter, a senior attorney with the DOJ's civil division who has extensive experience in litigating national security cases, arguing for the government. The court carefully examined whether Nasser al-Awlaki was acting in the interests of his adult son. As Judge Bates suggested, Awlaki must show that his son is willing yet unable to bring the suit himself. While Jaffer argued that al-Awlaki "is in hiding as a result of the death threat," Letter repeatedly argued that al-Awlaki "has the key to his own safety," and that he can simply turn himself in to authorities without fear of lethal action. Bates appeared skeptical of Jaffer's arguments. "Why shouldn't I look at the public statements of al-Awlaki and conclude that he does not desire to bring this case?" he asked. "He doesn't respect the U.S. court system. He doesn't believe it has any jurisdiction over a Muslim?" In one such video that the government cited in its briefs, Awlaki says "I have no intention of turning myself in to [the Americans]. If they want me, let them search for me." As the latest Awlaki video shows, the AQAP leader is not just opposed to the American judicial system. The new video comes days after a decision by the Yemeni government to try Awlaki in absentia for inciting terrorism and other offenses. Awlaki criticizes the Yemeni government saying it "complains from injustice and suppression, mixed with carelessness from the government towards people's rights." In the video, he goes on to instruct people that they don't need a religious edict to kill Americans. "The fighting of Satan does not require any fatwa or consultation. They are the party of Satan, and fighting them is an obligation. The case also questioned the proper role of the judiciary in national security cases. Both sides agreed the case was unprecedented. "You are being asked to issue an injunction against the President of the United States and his top military and intelligence officials, regarding a military and intelligence program," Letter told Judge Bates. "An injunction would provide a leader of a Foreign Terrorist Organization continue ability to assume operational capabilities." Conversely, this is "a case concerning the Executive's authority to carry out the killing of an American whom it has named an enemy of the state," Jaffer argued. He called the policy "extreme" and "terrifying." If the court accepts the government's argument "then the President will have unchecked authority to assassinate any US citizen, and it will be unreviewable by a court," he said. Letter called those arguments "ridiculous" and "absurd." Speaking broadly about the government's claims of supremacy in this area, Jaffer explained, "this is a bigger case than the government is suggesting. It's not just arguing that the court has no role to play now. They are saying that the court has no role to play period." IPT News has reported many of Anwar al-Awlaki's terrorist connections. In his role as an operational commander of AQAP, Awlaki has been linked to the Fort Hood massacre, the Christmas Day bomb plot, and the failed Times Square attack. "He has involved himself in every aspect of the supply chain of terrorism—fundraising for terrorist groups, recruiting and training operatives, and planning and ordering attacks on innocents," the U.S. government explained in designating him. Bates is expected to issue a ruling on the government's motion to dismiss within a few weeks. Regardless of the outcome, an appeal to the Court of Appeals to the D.C. Circuit is likely.